World Cup football or Agricultural Show, sometimes it’s all about the flag waving. To draw attention to yourself or your business waving a flag is a great place to start. However after a couple of hours your arms are tired and you have to deal with all your new customers hot and sweaty. Don’t Panic though help is at hand…. 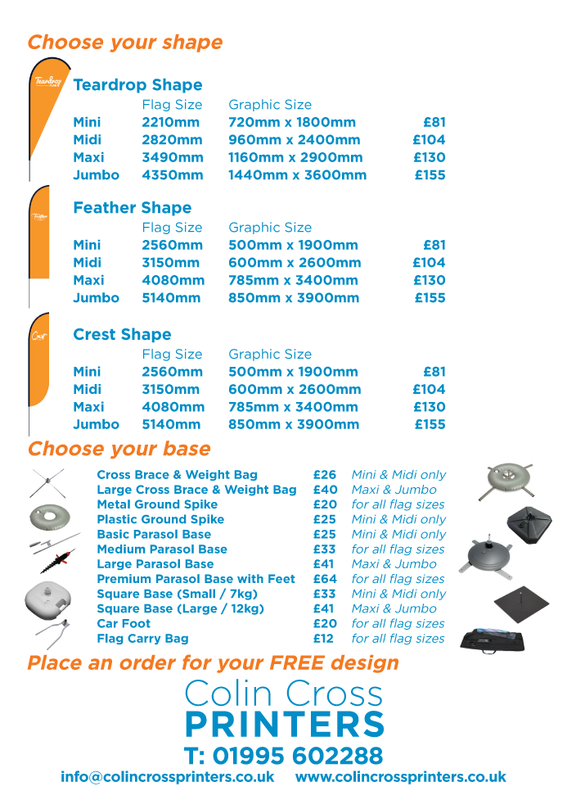 Colin Cross Printers have the flag for you and also fortunately (your arms will thank you later) the flag stand to match. To promote your business whether local to us in North Lancashire the Fylde area or further afield, indeed anywhere in the UK, you can rest easy knowing the flag waving part is all sorted. In a range of designs from a modest wall mounted flag to a full on beach style surf flag you can draw the right kind of attention to your business, your pop up shop or your event. 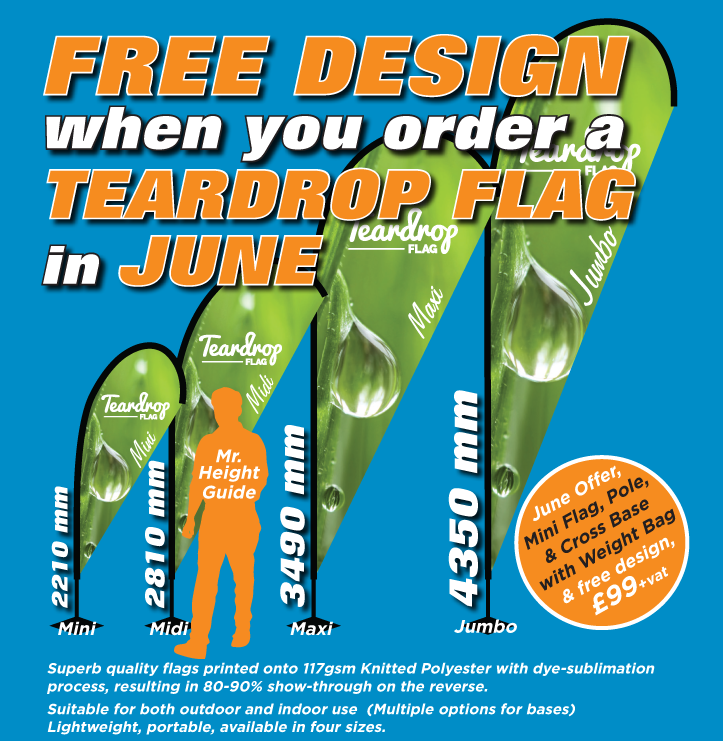 We have supplied flags for businesses in Morecambe, Garstang, Lancaster, kendal and beyond. Why not get your customers talking about your smart new flags and remember if you recommend Colin Cross Printers to a colleague and your friend places an order we will reward you with a free design and print of 250 luxury business cards. That’s an offer that’s definitely worth waving a flag for.